Dr. Damle was easy to talk to about my concerns. She gave a thorough exam and was informative. I would recommendher. Dr. Damle was easy to talk to about my concerns. She gave a thorough exam and was informative. I would recommend her. I love her! She is simply amazing! I've been under her care for approximately 5 years. I hope she doesn't retireor leave me! I love her! She is simply amazing! I've been under her care for approximately 5 years. I hope she doesn't retire or leave me! Dr. Lauren Damle is an empathetic and dedicated OB-GYN based in Washington, DC. Dr. Damle is an alumna of University of Tennessee, Memphis where she earned her medical degree. She completed her residency training in obstetrics and gynecology and a fellowship in pediatric and adolescent gynecology at MedStar Washington Hospital Center. Dr. Damle is a member of Washington Women's Wellness Center. 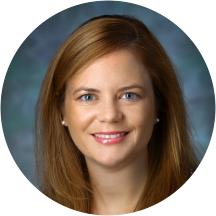 She is affiliated with MedStar Washington Hospital Center in Washington, DC where she is actively involved with training fellows in pediatric and adolescent gynecology. Dr. Damle is board certified in obstetrics and gynecology by the American Board of Obstetrics and Gynecology. Patients see Dr. Damle for a variety of reasons, including OB-GYN follow ups, gynecology consultations, multiple gestation, pap smear, and postpartum visits. She has treated and managed a diverse range of medical dysfunctions and is committed to providing the best comprehensive medical care available. She is attentive to her patients’ concerns and tailors her treatment plans to accommodate their individual needs and comfort. I never received my documents in the mail. But once that was resolved I was seen right away. Great bedside manner and very professional. I see Dr. Damle regularly and she is my favorite doctor ever. She is friendly but also very professional and extremely proficient. I highly recommend her to all of my friends in DC who are looking for a gyno. She is the best. She listens and makes good suggestions about birth control options. She is really nice and always willing to help. Dr. Damle is great! She is very professional and adaptive. She made my visits very comfortable and worked around my traveling schedules so that my treatments were not interrupted due to a long vacation that I have planned long time ago.I’m also happy with the waiting time. Nurses are very friendly as well. Dr. Damle was great. I waited 1.5 hours to see her. The doc office texted me to come in 30 min early then left me sitting around. Dr. Daimle said they had some urgent appointments scheduled last minute which led meto wonder why they didn't text me to tell me NOT to come in so early. None of the forms I filled out on ZocDoc were relevant either. I had to fill out an entirely new set of forms. That being said - the person who checked me in was very welcoming and nice, and Dr. Damle was terrific. This was my first OB/GYN appointment, and Dr. Damle put me at ease right away. She was very friendly and explained what she was doing at every step. The exam was quick and painless. Definitely recommend! This was my first pap, and I was a nervous wreck. Dr. Damle did everything she could to put me at ease and make me as comfortable as possible. She's incredibly professional, but also has a great bedside manner. I couldnot believe how quick she was -- she made something I was dreading as painless and easy and fast as she possibly could. My appointment was three hours ago, and I've already recommended her to two people. Dr. Damle is nice, patient, and thorough in her explanations. She talks me through everything step-by-step so I know what to expect at any moment. Her calm demeanor makes me less tense during procedures I might've been more anxious or concerned about otherwise. Dr. Damle was able to address my concerns and explained the options I could take in terms that I could understand. I love her. She's so down to earth and made me feel so comfortable. I was nervous at first because I have always seen the same gyno for over 7 years. She was the only one available in the time I needed and I have no regrets. She was friendly, attentive and thorough. She wasinterested to learn about my concerns and willing to answer any questions and even asked some of her own to get to know me. I will definitely be scheduling again with her! Dr. Damle was great! I was nervous to get my IUD implant and she made me feel very comfortable. The procedure was quick and easy and she did an excellent job of explaining the various side effects of the IUD. Great bedside manners, great information, caring and overall a good doctor. Dr. Damle and her staff made me feel extremely comfortable in the office and answered all my questions without judgement! I trust Dr. Damle completely! I've seen her for 4 years and the only reason I would switch doctors, is if I moved. She's kind, thoughtful, smart, and has great bedside manner! Dr. Damle was attentive and answered all my questions. I highly recommend this physician and her team. Dr. Damle is the best, and the staff at the office is awesome as well. Everyone is so friendly and considerate. They just got a new computer system today so they were running a bit behind, but they apologized profusely andwere clearly doing their best to put the patients' needs first despite their technical difficulties. I was able to get exactly what I came for in a reasonable time. I highly recommend Dr. Damle! Dr. Damle was very friendly and answered all my questions. Follow-up on my concerns, however, was not good. I was supposed to receive information regarding potential costs for my treatment plan from their office and information on follow-up.No one ever contacted me again. I tried to reach out to the office via the patient portal (and had done this with another provider with the same group with a similar outcome) but never received a response. At this point, I likely won't be receiving further care from this office, as my deductible will reset by the time I would be able to set up the procedure. I had high hopes for this provider but I am unsure why I was never contacted following my appointment or after further attempts to get more information. One of the best physician office visits I have ever experienced. Quality service and phenomenal professionalism. Lauren Damle is incredible but unfortunately her staff is not. Last time I visited they forgot I was in the waiting room and I had to wait almost two hours. This time (even though I called twice to confirm and gota text the day of) I showed up and they said I didn't have an appointment. Pretty frustrating. She was very nice and tried to comfort all of my concerns. Very excellent doctor. Will keep her until I am 100 years! Dr. Damle walked me through every question I had and her staff was absolutely wonderful! Can't recommend her enough. I made my appointment for first thing in the morning so that I could avoid a long wait. I still waited 35 minutes in my room for the doctor. She is very nice and has good bedside manner. I had a very good visit with Dr. Damale. She is very polite and knowledgeable. I really enjoyed my visit with Dr. Damle, very professional, listened to any and all of my concerns. Felt very comfortable having an open discussion with her. Also greatly appreciated her frankness about my current form of birth control - somefacts that my previous OBGYN had not shared with me. Was a bit short on spending time me, but still felt like she was attentive and listening. Was in-and-out quickly on a Friday afternoon. Dr. Damle was receptive to my questions and made me feel comfortable. She was informative as well, which eased my anxiety and increased my confidence in future services she will provide me. Dr. Damle was so sweet and a great listener, and her staff was wonderful and welcoming. Doctor Damle is always great. Very nice and approachable! Very professional, very nice, very informative. Made me feel comfortable and at ease. The doctor was very professional, but also had a great bedside manner and took the time to listen and provide information. I really enjoyed my visit with Dr. Damle. Despite the fact that they didn't apparently have my appointment on the books when I came in, fortunately I was there first thing in the morning and it was not a problem. Icame in at 8:15 for an 8:30 appointment and was taken back at 8:31. The desk staff and physician assistants were extremely pleasant, polite, and made me feel welcome. Dr. Damle is extremely professional and friendly. She answered all of my questions and seemed extremely present during my visit. I have not had any other doctor who provided such a quality experience. Dr. Damle was great. She was a quick, professional, and personable. Dr. Damle was great!! Already referred one of my girlfriends to her. She was very thorough and I didn't feel rushed at all. Dr Damle was great. She was sensitive and listened to my concerns and carefully explained options and available courses of action. I highly recommend her. Dr. Damle was excellent! I highly recommend her. She was very nice and welcoming. She gave me a lot of information and answered all my questions. I will definitely be returning. Dr. Damle was so nice- she actually wants to help, not judge or preach. It's a relief to find a good Gynecologist that makes me feel comfortable with asking questions and who is efficient and thorough. Dr. Damle was warm, compassionate, and took the time to thoroughly answer a broad range of questions about how certain conditions that I have affect one another. She's super great and makes you feel really comfortable. Definitely knows her stuff! They where great i was running late and they still saw me within good time. I typically wait until after a second appointment to write reviews just to have a better sense of what a typical experience with the doctor will be like, not just the "first date" experience where everyone is on their best behaviour.My first appointment with Dr. Damle went well. She was kind, patient, and efficient. I was in and out of the office in about 90 minutes, with minimal waiting to see the doctor. I began having problems with my IUD five months after its insertion and scheduled a second appointment with Dr. Damle. There was inclement weather predicted the evening of my appointment, so the office called to reschedule my mid-afternoon appointment. Unfortunately, there was no inclement weather, so my appointment was unnecessarily cancelled and I soldiered on with the pain and bleeding I was having. I arrived for my rescheduled appointment, which was two weeks later. It was not until I arrived to the office and paid for parking in the garage that I was told that my appointment had been cancelled. No one had bothered to call me to tell me that Dr. Damle had cancelled it. I was so frustrated that I left without rescheduling. I called again today (a week-and-a-half later) to try to reschedule my appointment again using the exact same number I'd used previously and was told that there was no Dr. Damle in the department. If the doctor no longer works in that office, that also means no one has bothered to call her patients - or at least me - to let me know that I should find another doctor. Whether it is Dr. Damle herself or her office staff, I don't know, but nothing after my first visit has been a positive experience, and I would not recommend Dr. Damle until she and her office staff can figure out how to treat their patients with courtesy and respect.